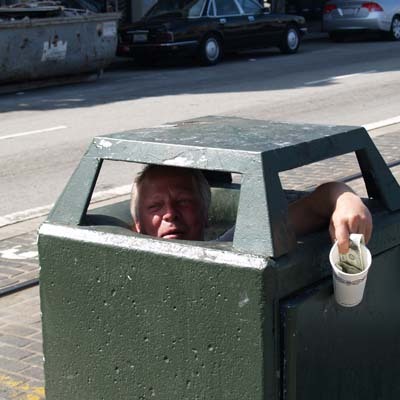 This strategy of pan handling from within a garbage can/container is actually a great strategy. The spectacle is so unusual that tourists, such as I, have no trouble parting with a dollar. The whole idea is quite funny.